Household rubbish removal services are a perfect solution for those who are moving house, selling their homes or generally want to throw away a number of things and don’t have the means to do it efficiently. We are able to assist with removing countless rubbish and unused items from homes, like old furniture, general clutter, old bedding and more. We partner with garbage processing services to ensure all of your household waste is processed correctly. This extends from recycling steels and plastics and deconstruction bed frames or chairs for recycling or reuse. Our services aren’t simple kerbside collection either. We take a hands-on approach and help our customers remove their household rubbish, and assist in the cleanup after all of the rubbish is taken away. 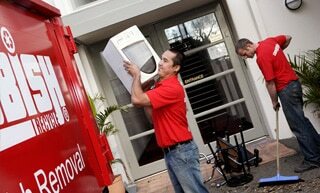 General rubbish and clutter removal are one of our more popular household garbage removal services. We collect a range of different household items and general rubbish from old boxes and broken items no matter their size. If your general rubbish collection needs exceed the limits set by council weekly collections, or your rubbish rarely fits in wheelie bins then we are able to routinely collect your general rubbish and clutter on an ongoing basis. A more difficult item or set of items to remove is old and unused household furniture. These items are typically heavy, difficult to remove and are too large to fit into a normal sized ute or car. If you need assistance with household furniture removal we are the team for you. You don’t need to leave your garden waste sitting in a space in your yard to decompose for weeks. It won’t just look unsightly and take up space, but it can kill your grass and plants beneath it. 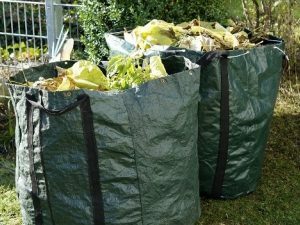 Our household rubbish removal teams can take away countless different types of garden waste, from logs and branches to yard trimmings and palm fronds. It’s easier than hiring a skip bin and we make sure the waste is recycled into compost and diverted from being simply dumped in landfill. Items like fridges, microwaves, washing machines and dishwashers are excitedly heavy and difficult to remove for even the strongest people. We have the equipment and experienced team to make sure all of these whitewoods and appliances can be easily and effortlessly collected and disposed of. As there are a number rules and regulations regarding the disposal of home appliances, it’s best to seek the help of an experience rubbish removal team. We make sure all your whitewoods and appliances like TVs, microwaves and washing machines are disposed of correctly and recycled when they can be. 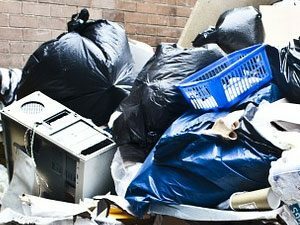 As there are a number of regulations dealing with the collection and disposal of household rubbish from furniture, garden waste, appliances or chemicals you can rest assured that all of our team members relay your household rubbish on to the correct processing facilities to either dismantle, recycle or dispose of correctly. 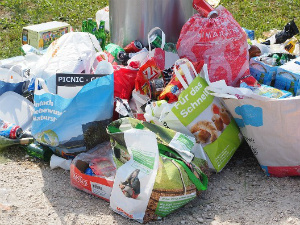 A professional team and an ethical rubbish disposal reduces your impact on the environment and can prevent fines or penalties for improper rubbish disposal. Our team will completely remove all of the household rubbish and waste you don’t wish to keep without needing you to lift a finger. We do all the heavy lifting and even help with the detachment of drawers and cabinets from their fixtures or walls. Our household rubbish removal services are able to be used by anyone living in suburban homes, apartments and almost any residential area. We can arrive at apartment complexes, townhouses, duplexes and typical houses to collect rubbish or assist in the physical removal of household items so you won’t need to worry about something being too heavy or too awkward to remove. Rubbish collection from houses is seamless with our experienced rubbish removal team. We simply arrive at your address and begin removing your broken furniture, appliances or TVs and load them into our truck. We can also assist if you have a basement with rubbish. This can either be kerbside collection or a full-service removal and collection where our teams will assist in the removal of your appliances, rubbish and other items. If you don’t live in a standalone home and share a driveway or an address with a number of other homes, that’s no problem. Our team will ensure driveways and parking spaces aren’t taken up by our vehicles and that we are able to remove all of your household rubbish without being too disruptive to your neighbours and others living in your building. If you share a driveway or a house block with someone else, we can make sure we cater to this by keeping our vehicles off the main driveway, as well as making sure our team keeps disturbances to as little as possible. Additionally, if you require both duplexes to be cleaned out and have all their interior contents removed for selling or a rental we can assist with this also. General waste, leftover moving boxes or broken and unused furniture are just a few of the things that can clutter a space and make your home, or a bedroom a little more frustrating to live in. Whether you need a bed removed, a fallen tree trunk, branches or old televisions, we can do the job for you. Our experienced removal team can easily take away all of your household rubbish and load it into our trucks for disposal. As far as e-waste, chemicals and other regulated materials are concerned, we ensure that all of these items will be disposed of correctly and either recycled, reused or dismantled by a processing facility. Free up space in your home and make it a clutter-free and tranquil space to relax in, without worrying about broken furniture or old appliances lying around. Household garbage, rubbish & stock removal will begin. General household rubbish includes items like simple garbage, boxes, old and broken toys and shoes and clothing. These items can generally clutter a space and make it less liable and generally annoying to keep around the house. Our rubbish removal team would be happy to collect and throw these things away for you without requiring any assistance, keeping the entire process simple and effortless. Items that require a professional and regulation compliant disposal are toxic and hazardous chemicals. If you’re doing an entire cleanup of your home, or want to throw away toxic chemicals, then you will need to contact your council and dispose of it responsibly. Common household chemicals that require a professional and regulated disposal include batteries, paints, oils, thinners and pesticides. All of which can not, and must not, be poured down drains or into yards. Whether you’ve replaced your furniture with upgraded items, broken them or no longer use them, there’s no point keeping them around your home taking up space. 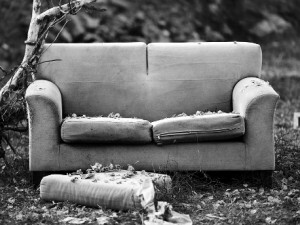 If you’ve found that a sofa, dining table or chairs are too large and awkward for you to dispose of on your own, then our team is for you. We can do the entire removal ourselves, so you don’t need to lift a finger, and our trucks are certainly large enough to remove even the biggest sofas or tables. Typically one of the largest and most difficult to remove from the home are bedtimes and mattresses. they’re too large for a car to remove, and even Utes have issues with them. If you need a bed frame or mattress, or multiple bed frames and mattresses remove, then get in touch with us today. Our team members can carry them from a bedroom and put them into one of our trucks. Make bed and mattress removal easy. Green waste and yard trimmings is often a hassle to get rid of because its hard to get a hold of and physically remove it. Our teams have the experience and can do it effortlessly for you, regardless of whether the green waste is branches, lawn trimmings, leaves, sticks and other debris. We transfer this type of household waste to the nearest processing facility for turning it into mulch or compost and sometimes landfill. 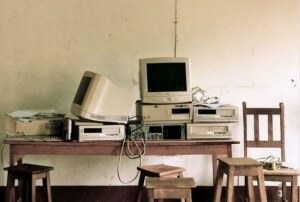 TVs and other electronics fall within the e-waste category and therefore have a number of disposal requirements. We make sure to organise and separate these items from other items in your home to make sure we can easily transfer them to other facilities for recycling, reuse or dismantling. More household items within this category include fridges, microwaves, hot water systems and air conditioning units. A professional, efficient and affordable household rubbish removal is the best way for your house or apartment to get back to its tranquil self as seamlessly as possible. Our team boasts years of experience, quality equipment and appropriate clothing to dispose of all types of household waste, no matter the size. If you need your homes general clutter or broken materials safely and compliantly removed then get in touch with us and make an appointment today.